The sort of society we live in means that concepts like ’democracy’ and ’people power’ are almost untouchable principles. If a majority of the people want something, it seems as if it doesn’t matter what ’it’ might be, the people have spoken and that’s it. However, in recent times we have seen the limitations to this over-simplified view of how our society works. 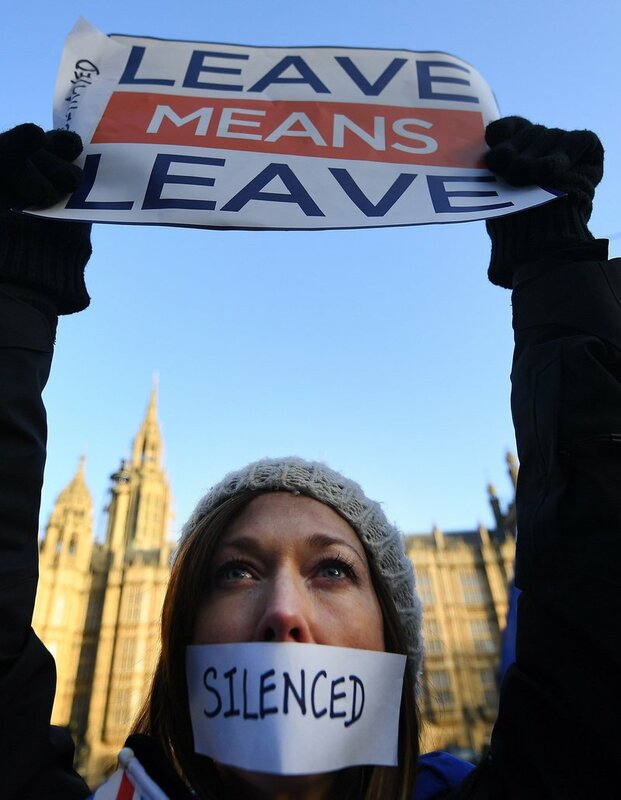 Dyed-in-the-wool democrats have had a problem contesting the result of the Brexit referendum, for example, because a majority voted in favour of leaving the EU, and they well-know that if a majority had voted to remain, they would now be hailing the result as a triumph. The political events in Catalonia and Spain in the past few years provide an even better example to expose the shortcomings of a philosophy that depends on a mass of people expressing their concerns in the expectation that doing so is enough to make what they want a reality. The naivety of Catalan politicians thinking that as long as they stick to the rules of democracy everything will be fine is there for all to see, as is the naivety of large numbers of people believing that simply because there are a lot of them, their requests will automatically be granted. This skewed view of how power works is something we need to come to terms with. While it’s true that large groups of like-minded individuals coming together to advocate for a particular course of action carries major weight, there are plenty of other repositories of power in our society. All those other people who do not want the same thing can provide legitimacy to a government that then feels confident in its opposition, the justice system is a major focus of power that draws on the legitimacy of a set of laws we are all subject to and often voted for, the military and the security forces are potentially extremely powerful and rarely follow the orders of the masses, businesses wield great power, and as private entities have independence of action and the resources to achieve their interests as long as they keep their customers and stakeholders happy, who might not share the interests of those hundreds of thousands, and sometimes even millions, of people calling for change. Yet, when a number of these elements all want the same thing, when the interests of a majority of people are aligned with those of both business and government, when the hoped-for process of change carries no threat of violence, and when there is a clear path for making the necessary legal reforms, then that change should become just about inevitable. Such issues as Brexit or independence do not necessarily fall into this category, but there are plenty of issues that do. One of them is rationalising timetables so as to bring everyday schedules into line with those of other countries. As you will see from our series of articles in this magazine (pages 20 to 27) on abolishing daylight saving time, despite there being real majority support in favour of restructuring our days, that widespread support has not been translated into effective action. Government, business, experts, people in general all agree that changing our daily schedules will make us healthier, with more free time, working less but being more productive, while saving energy and benefiting our children. If there was ever a no-brainer, this is it. So, where are the tens of thousands on the streets clamouring for change?